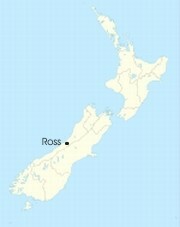 Ross is a small town located on the West Coast of New Zealand's South Island. 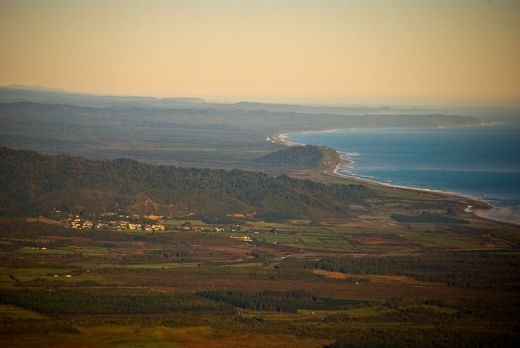 It lies 27 kilometres south-west of Hokitika and 46 kilometres north-east of Harihari. State Highway 6 passes through Ross on its route from Ruatapu south to Pukekura, Harihari, and further south, the Franz Josef Glacier. The population was 291 in the 2006 Census, a decrease of 24 from 2001. The town's chief industries are farming and forestry. Ross was an important centre during the West Coast goldrush of the 1860s. Since 1988 a large open cast mine has operated adjacent to the town. A branch line railway known as the Ross Branch was opened to Ross on 1 April 1909, and this was the southern terminus of the line owned by the New Zealand Railways Department. 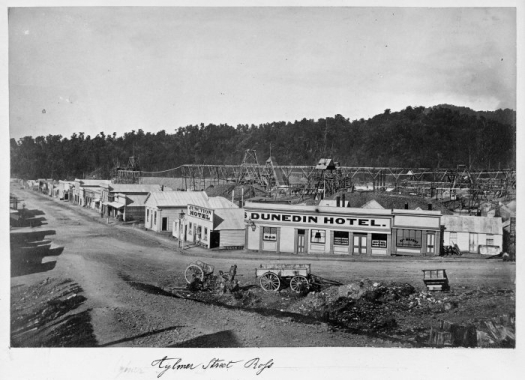 However, a lengthy privately owned bush tramway ran south from the railway station to serve logging interests near Lake Ianthe and a railway extension from Ross through the Haast Pass to connect with the Otago Central Railway was proposed in the early 20th century. From the 1940s until 9 October 1962, a Vulcan railcar service operated directly from Christchurch to Ross twice a day. A lack of traffic and expensive maintenance costs meant the line was closed beyond Hokitika on 24 November 1980. Aylmer Street, Ross about 1870. Much of the old track bed between Ruatapu and Hokitika can be driven as it serves as an access road for local farmers, and a disused truss bridge still stands north of Ross.